One popular behavioral model system with which to study learning and memory is a robust learning paradigm that capitalizes on the capacity of mammals, including rodents, to associate environmental cues with a mild aversive stimulus. This type of learning, generally called fear conditioning, is an example of classical associative conditioning similar to Pavlovian conditioning. Some aspects of the neuronal circuitry underlying this behavior have been worked out and it is clear that the amygdala is involved in memory formation in this behavior (see references 1 and 2 for example). In addition, the fear-conditioning paradigm has been quite fruitful of late as a model in which to study molecular mechanisms underlying learning and memory, as we will return to repeatedly in this book. One final reason for the high level of enthusiasm for pursuing this behavioral paradigm is its potential relevance as a model system for human anxiety disorders. A typical fear conditioning experiment proceeds as follows. Animals are placed in a fear-conditioning apparatus for about 2 minutes, then a 30-second acoustic CS (tone or preferably white noise, but light cues can also be used) is delivered. During the last 2 seconds of the tone, a mild foot shock (US) is applied to the floor grid. This pairing protocol can be repeated with a brief intervening period (e.g., 2 minutes) between pairings. The stimulus strength and number of training pairs are typically chosen based on pilot experiments to optimize learning without overtraining the animals. When trained in this fashion, the animals learn at least two things. One thing they learn is that the training chamber is bad news; that is, that the context in which they are trained is a place to be feared. Another thing that they learn is that the noise or light CS predicts an upcoming foot shock, and thus it also is to be feared. These two components of the learning are referred to as contextual and cued fear conditioning, respectively (see Figure 1). FIGURE 1 Variants of fear conditioning in rodents. See text for details. Cued fear learning is assessed by quantitating the amount of fearful behavior exhibited by the animal following representation of the CS, when the CS is presented in a different context from that in which the training took place. This use of a different context is important to isolate the cued conditioning from the contextual conditioning: a variation is to habituate the animal to the fear-conditioning apparatus before presenting the CS-US pairing (see reference 3 for example). Increased fearful behavior upon later representation of the CS is an indication of the animal having formed a lasting association between the CS cue and the fear-evoking stimulus. 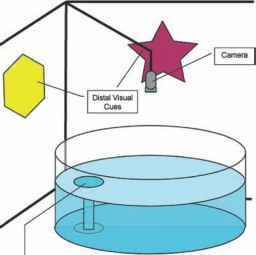 To assess cue learning, animals are placed in a context different from the training context (e.g., novel odor, cage floor, and visual cues or alternatively a context similar the the home cage) and baseline behavior is measured for a few (e.g., 3) minutes. Then the acoustic CS is presented for about 3 minutes, and learning is assessed by measuring fearful behavior every 5 seconds (see Figure 2). To assess short-term cue learning, the animals are typically placed in the nontraining context 1-2 hours following the completion of the training session and fear assessed in response to re-presentation of the acoustic or light CS. Long-term cue learning can be tested 24 hours to several weeks later. How does one assess the fearful behavior indicative of learning? There are two basic ways to assess fear in rodents: freezing and startle potentiation. Freezing is a stereotyped immobile posture exhibited by rats and mice when they are fearful; it is readily recognizable to a trained human observer. In this case, the scorer of the behavioral experiments should, of course, be blind in reference to whether the animal is a control or an experimental. The other variation for assessing fear in rodents is measuring fear-associated potentiation of their normal startle response, which can be quantitated automatically using a variety of devices. Potentiation of the animal's normal startle response to a loud noise, by representation of the CS (light for example) is one of the standard indices of cue-evoked fear. Anyone who has ever watched a Hollywood "slasher" movie is familiar with fear potentiated startle. To assess contextual learning, the animals are placed back into the training context post-training and scored for fear behavior for a short period of time, typically a few minutes to minimize extinction of their fear of the context (see Figures 1-3). Similar to cued fear conditioning, contextual fear conditioning exhibits short-term and long-term forms. 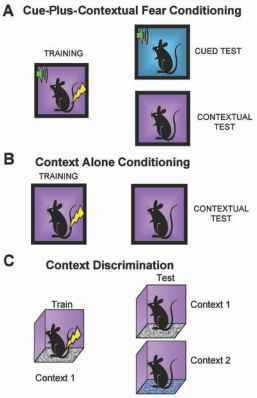 It also is possible to train animals using a context-alone variant (see Figures 1 and 3). FIGURE 2 Cued-plus-contextual fear conditioning. (A) Freezing behavior on the day of training. The white noise CS is presented for the three periods of time underlined. Foot shocks are presented at the arrows. Stereotyped freezing posture is scored visually and expressed as percent of time spent freezing. (B) Freezing in response to CS presentation on day 2 after training. For these experiments the animals are in a different context than that in which they were trained. The period of white noise (CS) presentation is indicated by the line. (C) Freezing in response to replacement in the training context. The animal is placed in the context at t = 0. All panels: Results shown are for C57Bl6 animals, mean ± SEM for n = 10 animals. Freezing is scored every 5 seconds and averaged over 1-minute epochs. Data from Weeber et al. (5). The procedures are essentially the same as the context-plus-cued paradigm, but no visual or auditory cue is delivered when the animal is trained. With this procedure, the animal learns to fear the training context— upon re-placement into the training context the animal exhibits marked freezing. FIGURE 3 Contextual fear conditioning in rats. Rats were placed in the fear-conditioning chamber for 2 minutes, then a 1-second shock (1.5 mA) was delivered to the floor grid. This protocol was repeated for a total of five shocks with 2 minutes between each shock. Following the fifth shock, the subject remained in the training chamber for 1 minute and was removed to its home cage. Results shown are an assessment of fear conditioning 24 hours after training. Freezing behavior was measured every 10 seconds for 5 minutes, 24 hours after exposure to the contextual fear conditioning paradigm. One control group of animals ("Context") was exposed to the conditioning chamber for the same amount of time as the fear conditioned group but did not receive any shocks. A second control group ("Shock") was shocked (5 sec, 1.5 mA) immediately upon placement into the conditioning chamber and immediately removed. "Naïve" animals were not exposed to the fear-conditioning chamber, nor did they receive an electric shock. Exposing animals to the contextual fear-conditioning paradigm significantly enhanced freezing behavior in animals 24 hours after training that paired the context and electric shock, but did not affect freezing behavior of animals that received either the context or shock alone, relative to naïve animals (Fig. 4A; F[3,24] = 226.6, p < 0.0001). Data from Levenson et al. (15). single visual or olfactory cue in the training apparatus. To help get around this problem, a variant of contextual fear conditioning called context discrimination has been developed (4). In this variant, an animal is tested in the training environment and also in another environment that shares some of the same cues as the training environment. The testing thus allows one to determine if the animal has learned to distinguish two similar environments from each other. The available evidence indicates that context discrimination is very sensitive to hip-pocampal deficits. In experiments where one is looking for learning deficits in an experimental animal, a variety of behavioral control experiments are necessary to bolster any conclusion that animals are deficient in learning or memory versus simply having derangements of normal sensory or motor function. A wide variety of these experiments are described in the last section of this chapter. However, one simple control is to monitor animals during the training phase of fear conditioning, for example by assessing the freezing of the animal in response to presentation of the foot shock (see Figure 2). Normal animals exhibit a freezing response to foot shock presentation. Normal freezing by an experimental animal during training indicates that they are able to at least sense the foot shock and to freeze normally. As an additional control in experiments where a learning deficit is indicated, one can undertake a retraining experiment. Thus, you simply retrain the same animals that exhibited a learning deficit using a more vigorous training protocol in order to assess whether they are capable of fear conditioning at all. The goal in retraining experiments is to control for the potential confound that an apparent fear-conditioning deficit is simply due to an inability of experimental animals to exhibit the freezing or fear-potentiated startle that is quantitated as an index of learning. With retraining or overtraining, if the animal ultimately learns, you can conclude that at least they are capable of exhibiting the learned behavior. It is also reasonable to infer that they are capable of sensing the environmental stimuli, although one possible explanation for a necessity for overtraining is that the animal has sensory deficits. FIGURE 4 Passive and active avoidance paradigms. See text for details. particularly appealing because it can be set up to use the identical aversive sensory stimulus (foot shock) as cued fear conditioning. Passive avoidance is not as well suited as a control for contextual fear conditioning because both tasks are likely to involve the hippocampus and share some underlying mechanisms, although manipulations have been found that can lead to selective deficits in passive avoidance versus contextual fear conditioning (see reference 5 for example). In summary for this section, fear conditioning is a robust form of classical conditioning exhibited by rodents. Cued conditioning can be used as an index of general associative learning that is amygdala-dependent but hippocampus-independent. Context-dependent conditioning is a variant to assess a likely hippocampus-dependent form of learning. The initial responses of the animal during and immediately after the training period also serve as a good screen for sensory responses to the foot shock and for the ability of the animal to exhibit fearful behavior. FIGURE 5 Passive avoidance. This test utilizes the natural tendency for mice to retreat from a lighted area to darker area during the training session. Upon entering the dark area, a mild foot shock is given, and learning is assessed as the avoidance of the dark area following the training session. 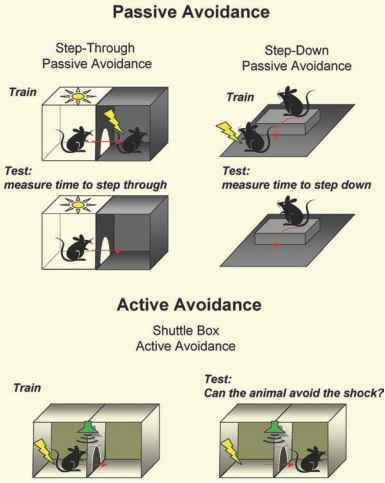 Passive avoidance was tested by measuring step-through latencies from a lighted compartment to a dark compartment when the animals are re-placed into the avoidance chamber. 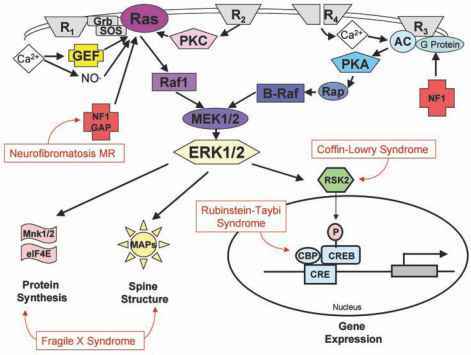 Results are shown as step-through latency during trial sessions 1, 2, or 3 days following training for PKCP deficient mice (□) or wildtype mice (■), mean ± SEM. Data from Weeber et al. (5). Both control and knockout animals successfully learned to avoid the darkened half of the chamber. In the passive avoidance learning test, rodents learn to suppress their natural tendency to seek out dark areas over well-lit areas after being exposed to the pairing of a mild foot shock with the animals' passage into the dark area from the well-lit one. One typical variation is referred to as the step-through passive avoidance task (see Figures 4 and 5). Animals are placed in a conditioning chamber separated into two compartments, one illuminated (e.g., by a 75-W light bulb) and one dark. The two sides are separated by a guillotine-type partition. On the training day, animals are placed into the illuminated side of the conditioning apparatus and the amount of time it takes to move into the dark compartment, called the step-through latency, is measured. Once a subject has passed into the dark chamber, the partition is lowered and the animal receives a foot shock through the grid floor. After 10 seconds in the dark compartment, the animal is removed and returned to its home cage. Various periods of time later, each animal is tested for associating the darkened chamber with the foot shock by measuring their step-through latency upon re-placement into the lit side of the conditioning chamber. Another variation of passive avoidance is referred to as step-down avoidance. During one-trial step-down avoidance training, animals are placed on an elevated platform and given a mild foot shock when they step off the platform onto the grid below. Memory is then assessed by the latency to step off the platform following training. Both step-down avoidance and step-through avoidance learning are subject to disruption with hippocampal lesions. Much more elaborate avoidance conditioning paradigms that involve active avoidance on the part of the animal have also been developed. Because specific directed behavior on the part of the animal is required, active avoidance is, of course, an example of operant conditioning. In one popular active avoidance paradigm, an apparatus called a shuttle-box is used. In the shuttle-box paradigm animals are trained to move from one side of the apparatus to the other in order to avoid foot shock. The trigger for movement can be linked to various CS cues such as light or sound, or the animal can simply learn that it must periodically change sides within a given time period. Interestingly, several different types of operant learning such as active avoidance in a shuttle box are actually enhanced by hippocampal lesions. The study of maze learning in rodents has always played a prominent role in experimental psychology, so much so that in some ways it can be considered the archetypal experiment in the field. From a historical perspective, this can be illustrated nicely by Karl Lashley's use of maze learning in his studies to try to find the anatomical locus of the engram—the engram being defined as the finite locus for memory storage in the central nervous system. Lashley undertook a number of studies of maze learning in rats and of memory storage for previously learned mazes. His basic experiment was to induce lesions of the cerebral cortex and evaluate the subsequent effects on learning and memory in rats learning or remembering the location of food rewards in mazes of increasing complexity. These pioneering studies were some of the first studies to illustrate the complexity of learning and memory, for Lashley found that no single cortical locus for learning or memory could be found using this approach. At best, memory loss could be related in a general sense to the extent of the lesioned area. These studies ultimately led to the currently held view that complex memories are held in (or at least accessed by) broadly distributed loci in the central nervous system. Fast-forwarding to the current day, a wide variety of mazes containing food rewards are still gainfully employed in behavioral studies of rodent learning and memory. Popular variations include "T"-shaped mazes of various sorts, and four- and eight-armed radial mazes (see Figure 6). Most applications of these types of mazes are fairly ethological in the sense that they capitalize upon rodents' natural foraging tendencies and involve food rewards. There is a wide variety of applications of mazes for rats and mice learning placements of food rewards in various limbs of the maze, and quantitation generally involves counting errors (i.e., the animal entering places in the maze where they should know, based on prior experience, that no food is available). Also, manipulating the delay period between training and testing is commonly used to parse short-term memory from long-term memory, and variations in the use of distal spatial cues can assess the role of this type of information in the learning process. Overall, maze learning has been widely used to probe for the role of the hippocampus in rodent learning and memory, using a wide variety of types of lesions to the CNS. Also, maze learning has lent itself well to studies where hippocam-pal cellular responses are recorded in vivo in real time as the animal learns and remembers. Using these approaches along with others, hippocampal "place cells"
FIGURE 6 Types of mazes. A few representative types of rodent mazes are shown for illustrative purposes. Most of these mazes are used in conjunction with food rewards located at specific positions in the maze. (i.e., hippocampal pyramidal neurons that fire specifically when an animal occupies a specific spatial location) have been identified. We will return to behaviorally identified patterns of hippocampal neuron firing later when we discuss neuronal firing patterns that are capable of eliciting long-lasting changes in synaptic function in the hippocampus. Various types of maze learning and attendant insights from in vivo recording during maze learning have recently received sophisticated treatment by Eichenbaum and Cohen (6), so I refer the reader to this text for more detailed discussion. We also will discuss these experiments in more detail in the next chapter. FIGURE 7 Morris water maze. The basic components of the Morris water maze system include visual cues on the walls, a monitoring camera, a pool with opaque water, and a hidden platform. maze is a hippocampus-dependent spatial learning task in which mice or rats are required to learn to locate an escape platform in a pool of water, using visual cues surrounding the maze (see Figure 7). The basic set-up is a circular shallow pool full of opaque water with an escape platform hidden just under the surface of the water so that it is not visible to the animal. Animals are placed in the pool at either constant or varying starting positions and forced to swim because the water is just deep enough that they cannot touch the bottom. Similarly, the walls of the pool are high enough that they cannot climb out. Rodents, while they are generally good swimmers, of course prefer to be on a stable platform out of the water. In initial training trials, by random chance most animals bump into the hidden platform and can thus escape the water. Those who don't find the platform by luck (usually swims are limited to a 1-minute duration) are retrieved from the water by the experimenter and manually placed on the platform. For the hidden platform version of the task, a typical training protocol generally consists of two blocks of four training trials a day with an interblock interval of approximately 1 hour (see Figure 8). Subjects are released into the pool from 1 of 4 starting positions, and the location of the platform remains constant throughout training. The training is given for about 6 consecutive days. Time to find the escape platform is measured. Mice and rats display significant improvement in their performance in locating the hidden platform over the several blocks of training trials (Figure 8A), as assessed by the animals' escape latencies (i.e., the time taken to locate the escape platform). A course in techniques and skills for mentalists, magicians and students. For students, improve your grades with less effort! But this book is also.... 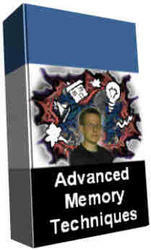 The ideal for any stage mentalist or magician by establishing credibility of amazing skills with an easy to follow instructional book on using the amazing power of your memory.